Foods like pumpkin pie, sweet potatoes covered in clouds of toasted marshmallows, and buttery rolls might lead you to believe that there’s no way that traditional Thanksgiving foods can be healthy. 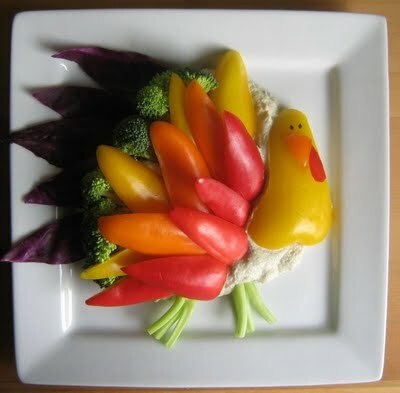 However, Portland Oregon dentists Dr. Todd Beck and Dr. Jacob Morrow at South Waterfront Dental want to encourage patients of all ages that Thanksgiving foods can be good for your health. It might sound unreasonable to avoid putting marshmallows on candied yams. However, marshmallows are gooey and sugary and can lead to tooth decay. Plus, there is really no reason that yams need to be sweetened up. This starchy root is sweet and delicious simply baked or roasted by itself, and is full of nutrients and don’t stick to the surfaces of teeth. Add a touch of brown sugar or real maple syrup if sweetness is desired. Otherwise, enjoy a delicious side dish of sweet potatoes as they were meant to be eaten! Fruit contains nutrients and fiber, which helps to balance the sugar content it contains. Using fruit as part of your Thanksgiving dinner can help satisfy your sweet tooth and strengthen teeth. Different kinds of fruit have been proven to decrease acid production in the mouth and promote saliva secretion which washes away food particles. Cranberry sauce is a natural part of a traditional Thanksgiving dinner. Buy cranberries from the produce section and cook them yourself in order to control the amount and types of sugar that are used. You might want to experiment with different kinds of sweeteners and amounts of sugar; many recipes call for more sugar than you may want or need. In addition to cranberry sauce, consider preparing a salad of fresh fruit to provide a pop of color and freshness to the Thanksgiving table! The Thanksgiving break is a great time to regroup and visit Dentists in Portland, OR Dr. Todd Beck and Dr. Jacob Morrow for a teeth cleaning and exam. Call 503-841-5658 to make your personal appointment at South Waterfront Dental.